Yeah we know, diversity in a fictional universe seems like a trivial thing to fight over, right? Well not if we’re talking about ‘Star Wars: The Force Awakens’, a movie that has had fans waiting decade for this latest installment. And while diversity should be something tackled in the real universe as we still have a long way to go in many areas to reach equality and an even playing field for all people, in fiction and entertainment the conversation about the need for diversity is on a much different. level. 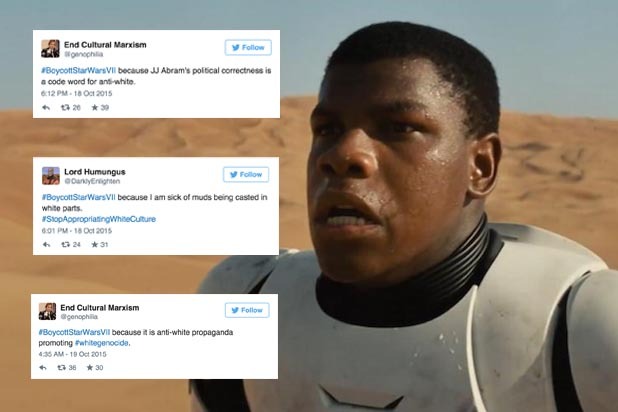 We’re very fond of the saying “you can’t be what you can’t see”, so for instance if a young girl grows up seeing iconic properties like Star Wars portraying all heroic characters as men, and the women as secondary, objectified people, it’s easy to see how they would subconsciously grow up thinking they are less important to men, even in a fictional setting. Which is why this Disney and J J. Abrams’ ‘Star Wars’ film has done something for a new generation of fans that, dare we say, George Lucas never did. The two major female characters in previous installments were Natalie Portman’s Padme Amidala and of course Carrie Fisher’s Princess Leia, who can be seen in ‘The Force Awakens’. This time around, not only do we have some badass, diverse and warrior female characters who don’t have to put up with being objectified in a slave bikini at any point, we also have some diversity in the male characters. Daisy Ridley’s character Rey is the fierce protagonist in this film, which already in itself is a departure from the type of character we would normally expect to follow in a Star Wars story line. She’s the desert scavenger who wields a lightsaber, takes the wheel of the Millennium Falcon and beats up New Order ruffians. Writing for Theconversation.com, Thomas Hoyland says Rey stands shoulder to shoulder with the male characters and signals a new era for the film saga as it is a clear message that women are no longer just cast to provide “sexiness”. “She’s not overly sexualized like so many leading women, nor is she a woman playing the role of a man. Instead, she is a standalone woman leading a fight. She does not need to be protected or saved by a man – the standard trope of a Hollywood blockbuster. This is a movie that puts women front and center and more than comfortably passes the Bechdel test – it is a positive step in the representation of women as leaders,” he said. He also acknowledges that it sends a great parallel message about the state of female leadership in the real world and can be a source of encouragement for viewers, even though the change is “glacial” at times. Variety reports that in a Fandango survey of 1000 people asking them which character they are most looking forward to, the clear winner was Rey, and remember this is an audience which was estimated to be at least 70% male. What does this mean? To movie-goers like us, well hey it’s just another awesome movie featuring more female characters. For major Hollywoo studios it should be a loud and clear message that predominantly male audiences ARE indeed willing to see a film that has a female in the lead, and diversity does pay off. Granted, ‘Star Wars’ is a cult-hit already and has been for decades, but as we have seen many times in the film industry, audiences can be fickle and one slight change in casting or story-line that doesn’t suit an iconic brand can ruin an entire film. 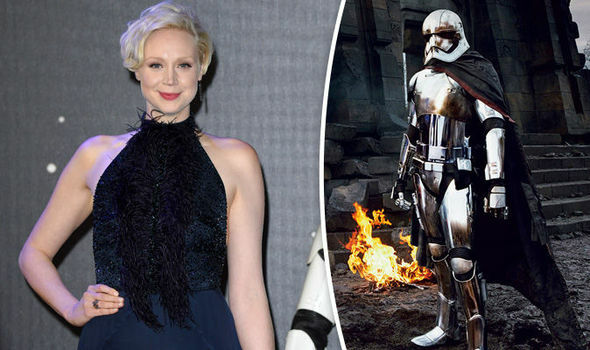 The other female characters who have been quite the welcome surprise to fans were Gwendoline Christie’s Captain Phasma, a role originally written for a male but who director J.J. Abrams and co-writer Lawrence Kasdan decided to make female after recognizing it was a great way to appeal to a new generation of fans. They also figured, why the hell not?! Gwendoline, who is known for her pull-no-punches role as Brienne of Tarth on ‘Game of Thrones‘ told the UK media ahead of the premiere that her role was revolutionary because it allowed for a great portrayal of female empowerment. 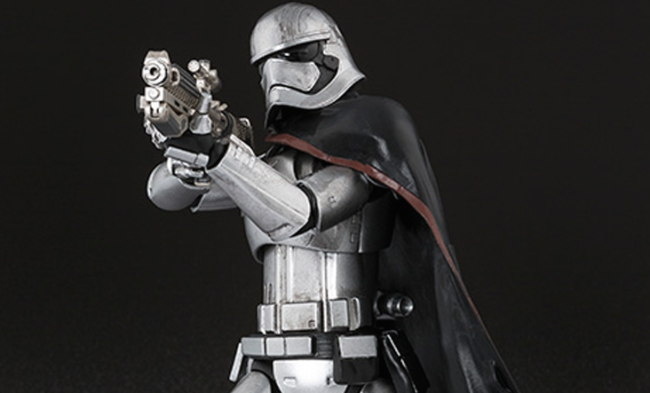 “What I love about it [the part] is that she’s the first female stormtrooper. We’re so used to seeing women portrayed in an often sexualised way. But, she’s covered in armor, so we form a relationship with the character due to her actions and not the way she’s portrayed in the flesh,” she said. She called Captain Phasma a very progressive female character because audiences form attachments to her because of what she does, not what she looks like, which in itself a quite a counter-culture move. “We don’t often see women portrayed in that way. It’s an opportunity to investigate something new and see that everything below the neck is as important as everything above the neck. It’s a revolutionary female character to have,” she said. 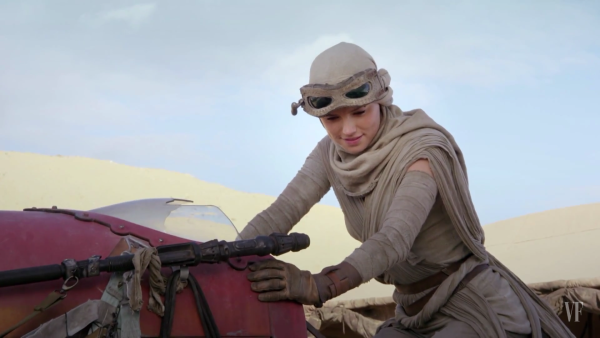 Rey and Captain Phasma are not the only interesting female characters on screen. 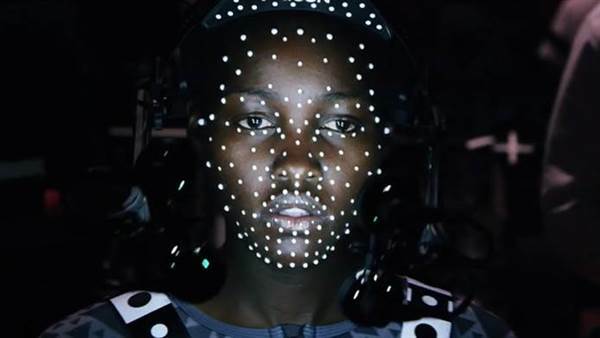 The alien pirate Maz Kanata was played by Oscar winner Lupita Nyong’o, who has been an outspoken celebrity about the need for diversity. In previous interviews over the last few years in the wake of her ’12 Years A Slave’ award nominations and wins, she has expressed multiple times how growing up as a dark skinned girl, it wasn’t until she saw prominent black women in the media like Oprah Winfrey that she started to feel like she could be considered beautiful and acceptable. Although we don’t necessarily get to see her face in ‘The Force Awakens’, she gets to continue the cycle of representing a new generation of divers ‘Star Wars’ fans simply by being cast. “It’s an honor to have that kind of that people hold me in that regard. I don’t feel a burden or a responsibility. I feel I’ve been given an opportunity to play a role that I often was looking for as a child. And I found those role models in people like Alek Wek and Whoopi Goldberg. I feel comfortable being the person that I am,” she told NBC News. “From the very beginning, ‘Star Wars’ for me is a universe that George Lucas created that was very embracing of diversity. The very fact that you have stories with emotion. The creatures. The machines. There was always diversity in it. Haters are gonna hate, you know?” she added. Thankfully, John did not pay too much attention to this, and if the $50 million in pre-sale tickets a full month before the release was anything to go by, clearly all the normal movie-going people in the world didn’t care either. In fact, it seems the obvious diversity in the casting choices was working in the film’s favor. 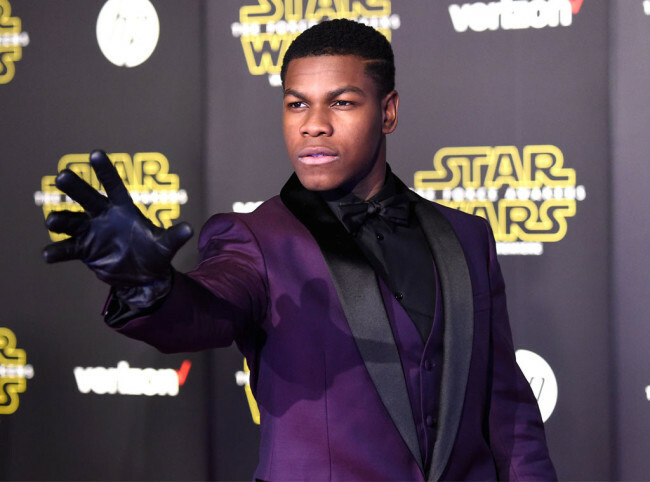 In response to the online haters, John Boyega told the New York Times that he is a confident black Nigerian man, proud of his heritage. “I wasn’t raised to fear people with a difference of opinion. They are merely victims of a disease in their mind. To get into a serious dialogue with people who judge a person based on the melanin in their skin? They’re stupid, and I’m not going to lose sleep over people. The pre-sale tickets have gone through the roof — their agenda has failed. Miserably,” he said. For decades we have seen heroic fiction figures in film, TV and literature being written as white men. 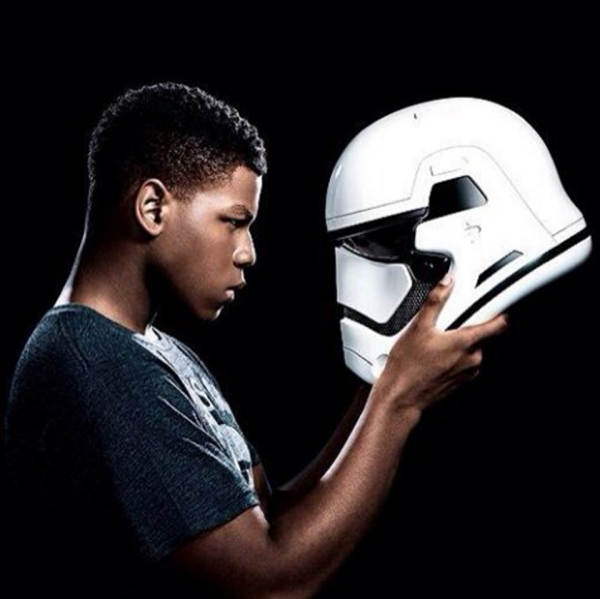 For an entire generation of young black men who still have limited role models in the entertainment world, John Boyega’s Stormtrooper character just became a game changer. This wasn’t some obscure role in an offbeat indie flick that might get a limited theater release, this was a major character in one of the best known film franchises in the world, and which has been for decades. 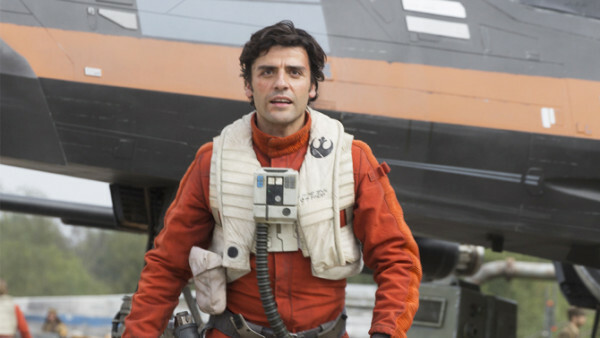 The additional casting of Guataemalan-American actor Oscar Isaac as rebel pilot Poe Dameron, is a great addition to the mix of diverse inter-galactic characters who have absolutely no reason to be defined by skin color or gender. After all, it IS make believe and it seems director J.J. Abrams used this chance to show a side of the ‘Star Wars’ universe that we haven’t seen as much of in the past. Aside from talking openly to the media about how he wants just as many moms and daughters to see ‘The Force Awakens’ as dads and sons, J.J says he hopes to eventually see a female direct a future installment, nominating Ava DuVernay as his top pick. In an interview with IB Times, he expanded on his reason to target more females for this particular film. “There have been sometimes very few female characters in these films. We were very lucky to not only have at the centre of the movie Daisy Ridley, who is extraordinary as Rey, but we have Gwendolyn Christie, we have Carrie Fisher, we have Lupita Nyongo, we have female stormtroopers and female resistance pilots. There are female voices and energy throughout this, and it was very important to me and to Kathy Kennedy when we first started talking about this movie that that be something that we bring to this film,” he said. He also reiterated the “you can’t be what you can’t see” notion by saying it is important for female fans to be able to relate to the characters they see on screen. “For young women in particular to physically relate to someone that’s a really important thing. Because people can relate to Luke’s story, they can relate to Han’s story but I think Rey, more than just because she’s a woman, it transcends gender. The story she goes on is universal. She’s a young girl trying to find her way, trying to do the right thing and hoping that there’s a better future and so I think both genders will be able to relate to that. But obviously she’s a woman and that’s really really cool,” he said. The diverse force is definitely strong with this one, and as the LA Times reports, looking at the background characters, it is easy to spot quite a few women and people of color playing pilots, politicians, and medics. Britt Hayes from Screencrush.com mentions a two-step solution to advancing diversity in Hollywood which Geena Davis penned for The Hollywood Reporter in 2014, where she said the first is to make a conscious effort to cast all background crowd-scenes half female, and as for major characters, change all the male names to female. If the characters are not defined by their “maleness” then, you have just made the simple step toward creating diversity in a much-needed industry. “I don’t know if Abrams read Geena Davis’ research, or her thoughtful article in THR, or if Lucasfilm president Kathleen Kennedy did…What matters is that The Force Awakens isn’t just a good movie (spoiler: it is! ), it’s a progressive one that not only takes our hand and subtly leads us in the right direction, but sets an example for Hollywood, for blockbuster filmmaking, and for the future of this franchise. And it does all of this by making one very simple but incredibly powerful choice,” she wrote. She said ‘Star Wars’ is a prominent and important example of what happens when Hollywood studios make deliberate decisions to change what we are so used to seeing on screen. “‘The Force Awakens’ introduces Daisy Ridley as Rey and John Boyega as Finn, the franchise’s two new heroes who happen to be a woman and a person of color. Rey could have easily been a boy; Finn could have easily been a white man. Their gender and race are incidental but not paramount to their characters and stories. Same goes for Christie’s Captain Phasma, a character originally conceived as a man, or Nyong’o’s Maz Kanata, a character created with the aid of mo-cap, and who could have been played by anyone — but she wasn’t,” she said. No matter which way you look at it, and what type of review you hear, the overall response is positive to ‘Star Wars: The Force Awakens’ and if we can just get a little deep for a second and end this article on a thought-provoking note, it seems the Star Wars universe isn’t the only thing that has been awakened. This film has overwhelmingly ended 2015 with a message telling the world, albeit through epic cinematic fashion, that we need to wake up and get on board with diversity: in film, politics, STEM industries, and much much more.